Tenerife, the fortunate island, will soon get another 5* hotel in the south, in Costa Adeje, where visitors will be able to enjoy a family holiday in a privileged setting. The Royal Hideaway Corales Suites***** is part of the Royal Hideaway Corales Resort and its architecture is inspired by the coral that surrounds the island of Tenerife. The architect behind this project is Leonardo Omar, originary from Tenerife, known for its spectacular projects, that manage to blend the design into the surrounding natural space. The hotel will be divided into 2 sections: one for adults only (people over the age of 16) and one for families with kids. The two areas of the hotel will be united by a bridge. Each area of the hotel will cater to the specific need of each category, with large apartments for families and a SPA area for the adults only section of the hotel. 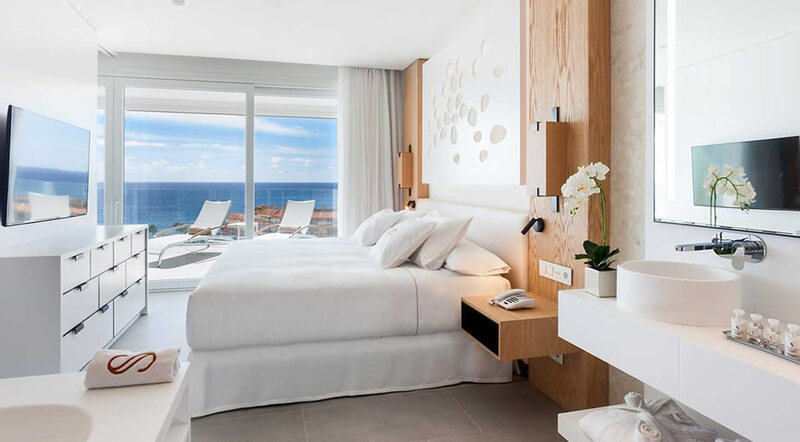 The Royal Hideaway Corales Suites will be the first luxury 5* hotel in the Canary Islands from the Barcelo group, with a capacity of 114 apartments, able to accommodate between 1 and 6 people. Some of the apartments will have their own private pool on the terrace, as well as an outdoor shower, for those guests who value their privacy and wish to spend time alone with their partner, away from the common areas of the hotel. The hotel is located in La Caleta, just 50 m from Playa de la Enramada, so you do get easy access to the beach, as you would expect from a luxury establishment. Some of the hotel's facilities include also a rooftop pool with breathtaking views, a wellness center, entertainment throughout the day for all age groups and 6 restaurants, specialized in Spanish cuisine as well as international cuisine. The Royal Hideaway Corales Suites is set to open on the 3rd of January 2018, so if you're planning a luxury holiday in Tenerife next year, keep in mind that there's a new "kid on the block" among the top hotels in the Canaries. Rooms are already available for booking on the Barcelo website, and according to the information available online, prices for The Royal Hideaway Corales Suites start at 494 € per night for accommodation only. You can also choose to book a bed & breakfast package or go for the half board choice, if you plan to spend most of your time around the hotel premises. If you book on the Barcelo website you will also get a 10% discount for early booking and if you sign up for my Barcelo program, you also receive a gift voucher worth 5% to spend during your stay and extra discounts for following reservations.